In the challenge that is worth the access to the second round of the Italian Cup, they face off at 20,30 on the green rectangle of Savignano sul Rubicone, which is presented in good condition, the Tuscan team dell'Arezzo. The start of the hosts is good, on the fifth big chance, long launch of Nagni but Casali in the penalty area shoots high. Unlock the result the Castelvecchio at 15 °; corner kick beaten by Martina Amaduzzi, ball to Angeli that returns the ball to the edge of the area, here the defender leaves a rocket starting a missile at seven of the door defended by Antonelli. TAVAGNACCO makes the BIS ... its the COPPA ITALIA! Tavagnacco defeats Torres in the Coppa Italia final, taking home the cup already won last season. 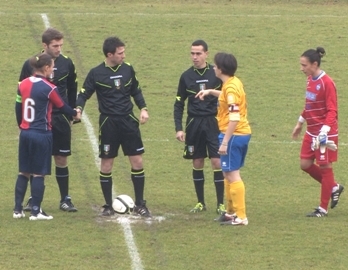 Match played on the thread of uncertainty for all 90 minutes with Tavagnacco that was more dangerous in the initial part of the match where he collected two clear goal balls, while Torres was dangerous with a shot from the edge of Fuselli that hit full the crossbar and a few minutes later is Patrizia Panico that alone in the area hits the ball of the head sending it just above the crossbar. Lively match, played at a good pace with several reversals in front, even if it is the Tavagnacco that comes more dangerously close to the opponent's goal with Brumana that with a shot from the edge, forces Thalmann to a splendid parade. Read more: TAVAGNACCO is BIS ... its the ITALIAN CUP! TAVAGNACCO GRANTS THE BIS OVERCOMING THE TORRES FOR 3 TO 2 WITH BONETTI, ZULIANI AND CAMPORESE NETWORKS. SANTARCANGELO of ROMAGNA. My Romagna. The promised land of Graphistudio gives, after the first time a year ago in Forlì, the second consecutive Italian Cup. Finally exorcised Torres at the height of an exciting final, Rossi's girls end their troubled season in glory. Yet the Friulians lack the soul: Parisi (stretching) even sits in the stands, Tuttino (battered ankle) on the bench. On the other hand, Camporese returns, already tested in the semi-final in Rome. Bischi goes to cure the right wing while Martinelli, good fruit for all seasons, is the midfield screen. The Graphistudio is strong and, at 6 ', a poisonous cross from Brumana forces Tona to take refuge in the corner. On the next corner Bissoli, head, touches the advantage. Read more: TAVAGNACCO GRANTES THE BIS OVERCOMING THE TORRES FOR 3 TO 2 WITH BONET NETWORKS, ZULIANI AND CAMPORESE. 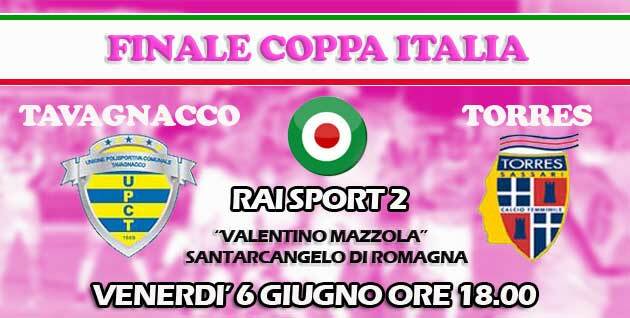 Tomorrow at 18,00 at the "Valentino Mazzola" of Santarcangelo di Romagna the final of the Italian Cup between Graphistudio Tavagnacco and Torres is played with the live broadcast on RaiSport 2 and the delayed RTV San Marino. The Friulians come down to Romagna to repeat the success of last year against Verona, and put on the bulletin board the second cuddle; the sardines to reiterate the victory over rivals during the 2013 Super Cup and enrich with a further prestigious title the rossoblu company and leave an indelible mark at the end of a good season, ended with the second place in the championship, behind the record Brescia . The Tavagnacco arrives at the final after beating 2 0 Resn Rome in the semifinals and the third place in the league, facing the emblazoned Torres, who managed to reassemble and beat the brilliant Mozzanica in front of the home crowd, after the defeat suffered in Brescia that cost him yet another championship. Everything is ready for the last big thrill of the 2013-2014 season. Directs the meeting Mr. Giorgio Sangregorio of the Aquila section. assisted by Assistants Dario Capritta and Christian Ballardini of the Ravenna section. The two "powers" again in front of next Friday 6 in Santarcangelo di Romagna: the Italian Cup is up for grabs. 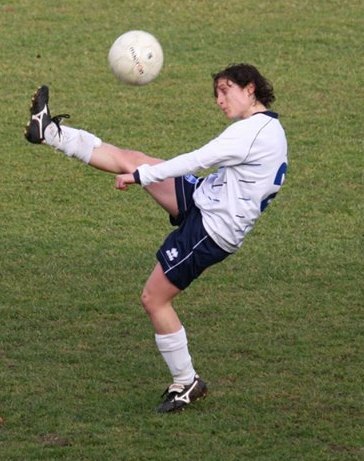 Brescia permitting, is now the "Classic" of Italian women's football: after competing for the Supercoppa last September (won the sardines) Tavagnacco and Torres will compete again next Friday 6 June, Santarcangelo di Romagna (start at 18, with direct on Rai Sport1), up for grabs the Italian Cup 2013 / 2014, trophy held by the club of President Picheo. The Gialloblu got rid of the Res Roma semi-final, an opponent who had severely committed them in the championship but who, in the match without tomorrow played yesterday in the capital, had to bow to Rossi's experience and superior technical rate. The technician has to give up Parisi (stretching) by giving Vicchiarello the keys to the midfield, while Rodella acts as a high-pitched player. Among the posts, after a record recovery from the injury of the 11 last May, Penzo finally returns. At 5 'Zuliani does the general rehearsals of the goal but, on Bonetti's cross the buiese, even anticipating Pipitone, sends high. Still Bonetti (minute 11) inspires Brumana: the skullcap of the captain rears on the crossbar. At the 20 'Res also gives some signs of life: Pitaccio finds himself alone in front of Penzo but his lob is high. Vicchiarello is alive at the 35: the ground shot splits the post outside. At the 37 is instead Brumana, always on an inactive ball, to touch the intersection. The "pear" is ripe and falls to the 38 ': Rodella crosses the bottom, on the first pole fling Ciccotti and Zuliani. The defender enters awkwardly displacing his goalkeeper. The recovery opens with a scare for the Graphistudio but, the conclusion in the melee of Simonetti, ends to the side. At the 12 ', after three months of absence, we see Camporese, who detects the injured Tuttino (ankle problems). 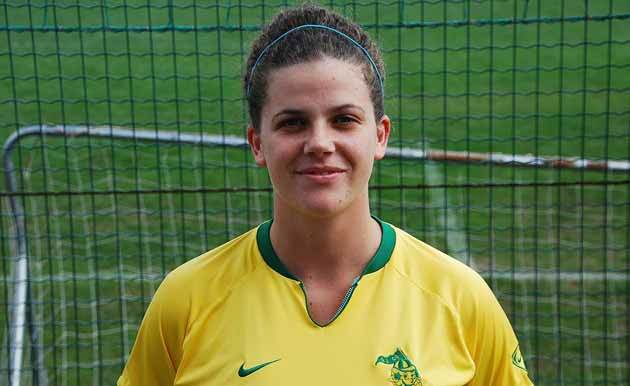 Elisa, motivated, not too late to enter the match. At 16 ', in fact, one of his cross is impacted by Brumana that touches the post. Shortly after, the two "senators" in evidence: the captain's turn on the fly, always at the suggestion of the patavina, makes "only" shout to the goal. Who arrives at 25 ': new Camporese duet - Brumana and service for Zuliani, whose low shot does not forgive Pipitone. At the 35 'the landlords claim for a dubious intervention in the area of ​​Bischi but, as the late Boskov would say, "penalty is when the referee whistles." Coluccini, Villani and Nagni then try to worry about Penzo, but it takes much more to worry about the rediscovered Chioggia. At the 40'va finally noted a clamorous "autotraversa" of Cicciotti, worried by the pressing of Zuliani while, at the 46 ', Brumana and Vicchiarello would have the opportunity to implement the loot. But that's enough: now, to repeat the feat of a year ago in Forlì, it will be necessary to reject Torres, who got rid of the Mozzanica effortlessly (2-1). "Apart from a couple of situations, we have always controlled the race - says Mr. Rossi - I am happy with the performance of the team and, above all, the return of Camporese, a situation from which we have benefited greatly. Now let's play the final, hoping that the outcome is different from that of the Super Cup ... "
Networks: 38pt Ciccotti (author), 25st Zuliani. GRAPHISTUDIO: Penzo, Bischi, Martinelli, Tuttino (12st Camporese), Latetrza, Bissoli, Bonetti (35st del Prete), Vicchiarello, Zuliani (40st Usenich), Brumana, Rodella. Coach: Rossi. So much regret, but in the final goes Torres. Piva ignites the Biancocelesti hopes, but in the second half Panico and Iannella overturn the result. 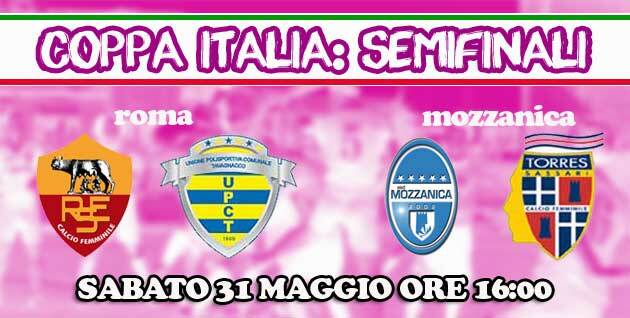 Mozzanica - The dreams of playing the Rimini final of this edition of the Italian Cup, for the biancocelesti girls, are breaking. Captain Locatelli and companions caress for long stretches of the match the hope of taking off the pass for the last round of the season, they play an excellent race, go ahead, but in the second half is the Torres of Mister Manuela Tesse to check it, thanks to implementation skills of its interpreters. Mister Fracassetti allows himself so from the Mozzanica at the end of a season of the highest level, which saw this team grow and get close to the big, touching a final of the Italian Cup. The orobic technician, deploying the same eleven of Verona, with Viviana Schiavi still diverted to the right. The sardines present themselves with the formation of the decisive championship match lost with Brescia. Only bench for Giorgia Motta. The two teams enter the field exhibiting the message "Women's Football I Like It! ", An initiative by calciodonne.it, aimed at drawing attention to our movement, which has been joined by important VIPs such as Ilaria D'Amico and Ilary Blasi. The first occasion of the race arrives at the 5 'on the feet of Giacinti, at the invitation of Riboldi. The n. 9 bergamasca lingers in the conclusion and allows the recovery at the last minute to Elisabetta Tona. The response of the guests arrives at 7 'with Iannella's off target at the end of an excited action in the orobic area. The Sassari won a corner at the 13 ', joining Maendly, for the head of Patrizia Panico that from two steps is in the arms of Gritti. In midfield the tension is very high and you fight the white weapon on all the balls. At the 21 'the Mozzanica wins the ball, Mauri moves close to the 16 meters and delivers the ball on the right to Piva, whose conclusion is a real shot that slips next to the post to the left of Thalmann. Mozzanica ahead and delirious on the terraces and on the field for the prowess of Empress Sissi. Torres could draw immediately at 26 ', when on the cut in the Panico area for Fuselli, Gritti comes out to Kamikaze and makes the ball in two stages. The guests have accused the blow and the attempt is from the distance of Stracchi whose aim is decidedly unhappy. It is instead the Mozzanica to have on hand the possible blow of K. O: Riboldi launches deep into Giacinti that crosses a prairie, shows up in front of Thalmann but is hypnotized literally by the Swiss goalkeeper of Torres, who saves in the corner. On the development of the shot from the flag, the ball comes to Tonani whose left is soiled by the deviation of Iannella that almost finds the Sardinian network. First fraction that ends with the well-deserved measurement advantage of the premises. In the second half the islands enter the field with greater conviction and, taking advantage of the momentary numerical superiority for the exit from the field of Viviana Schiavi, find at 5 'the flash of stainless Patrizia Panico that brings the race in parity: Stracchi serves with the goniometer the n. 9 rossoblu 'who does not pray and beats Gritti with a paw in the door. The landlords do not break up and in the quarter of an hour Scarpellini from midfield serves Giacinti centrally from the limit tries the volée without finding the big target. Over the minutes, guests earn precious meters. At 28 'the raise from the rear of Tona becomes an assist for Panico who enters the area, but finds on his way a great Alessia Gritti that foils the menace. The extreme orobic but nothing can five first later, when Iannella off the ball crossed by Domenichetti and head invents a mocking parable that slips into the door of Bergamo, overturning the result. The Sardinian network is a real blow to the premises that at 35 'risk to capitulate. Domenichetti's corner, Panico left guiltily alone in the middle of the area can gobble undisturbed, the ball slams on the crossbar and returns to n. 9 Sassari that in reverse is missing the door very little. In the remaining ten minutes the landlords are no longer able to worry about the guest door and the Torres off the ticket to Rimini, where he will face on Friday 6 June Tavagnacco, victorious on the Res Rome. Just the regret at the end of the race for a very rare waste of entering the history of the competition for the biancocelesti, but a good one anyway to the girls for what has been done this season. Now comes the time of well-deserved rest for the protagonists Mozzanichesi, appointment to all our fans at the next championship and always Forza Mozzanica! MOZZANICA: GRITTI, RIZZON (from 44 'ST GARAVELLI), TONANI, BRAMBILLA (from 35' ST CAMBIAGHI), SCHIAVI, LOCATELLI, PIVA, MAURI, GIACINTI, SCARPELLINI, RIBOLDI. All. Paolo Fracassetti. Available: Orlando, Dossi, Brayda, Fusar Poli, Bianchi. TORRES: THALMANN, BARTOLI, TUCCERI CIMINI, STRACCHI, TONA, FUSELLI, DOMENICHETTI, MAENDLY (from 37 'ST MARCHESE), PANICO, GALLI (from 18' ST MOTTA), IANNELLA. All. Manuela Tesse. Available to Criscione, Erman, Piacezzi. Referee: Matteo Marcenaro of Genoa, assistants: Giusi Schiavina of Mantua and Marzia Maltese of Milan. Score: Sunny day, field in excellent condition. Present on the 400 stands people. Best on the pitch: Piva (M) and Iannella (T). In the semifinals, the Italian Cup dream of Res Rome crashes, losing 2 to 0 against Tavagnacco, in the match played at Ciampino due to the unavailability of "Raimondo Vianello". An unfortunate owner of Ciccotti at the end of the first part of the game, and a goal by Zuliani at the beginning of the second half, allow the Friulians to reach Torres, a corsair player on the field of the Mozzanica. Mister Melillo opted for the 4-5-2 with Pipitone between the posts, Colini, Morra and Ciccotti in defense, Gambarotta, Simonetti, Villani, Coluccini and Fracassi in midfield, with the attacking pair formed by the tandem Pittaccio - captain Nagni . 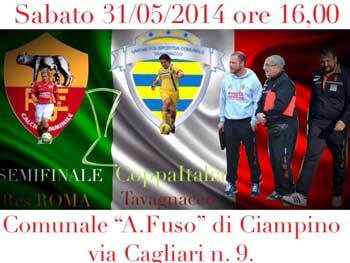 EVERYONE IN CIAMPINO TO DRAW THE "FINAL"
Less than 24 hours separate the Roma from the big event of the historic Italian Cup semi-final, which will be held at Ciampino on Saturday 31 May at 16. 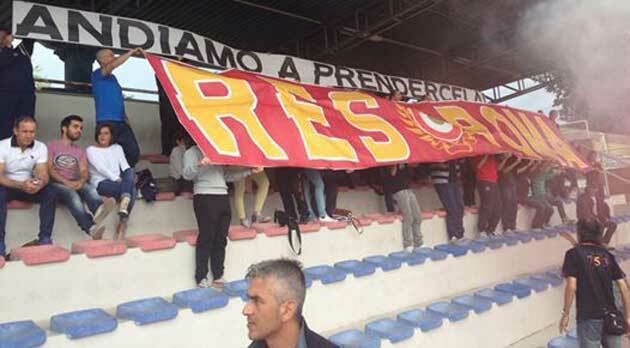 The Giallorossi come to the big match after eliminating the Fiano Romano, the Stella Azzurra, the ASD Roma and the Acese, beaten on penalties last 30 April, while the Friulians are returning from the victory against Florence obtained in the minutes of recovery. In the league the two teams met twice and on both occasions won Tavagnacco, winning 2 in 0 in the first leg, and 1 in 0 in the return leg. The formula provides for the dry competition with additional and penalties in the event of a tie in the regular times; the winner will face the winner of the other semi-final between Mozzanica and Torres. "We expect a very difficult game - said the Giallorossi coach Fabio Melillo - For us it is already an honor to have arrived in the top four in this competition, so we have little to lose, even if we want to do well to salute our audience worthily who followed us with passion and dedication throughout the season. This is always a particular phase from an athletic point of view, so it will count a lot of mental and character strength to face such a commitment. " The race will be broadcast in delay on Wednesday 4 June at 23.30 on Dinamica Channel, 809 of Sky and 249 of DTT. Mozzanica towards the cup semifinals. Not even the time to party that our girls must throw their heads down in their weekly work. The victory over Verona is still in the eye and has left some legitimate enthusiasm in the environment biancoceleste, but Captain Locatelli and friends know that every result is important only if another follows and then from Monday the helmsman Fracassetti and his crew they are preparing the Saturday challenge with Patrizia Panico's Torres. On the Sassarese front, in doubt it is only the presence of Giorgia Motta, who has only re-entered the ranks in recent days. For the rest, Manuela Tesse should have all the owners at her disposal. The race will be held regularly on Saturday at 16.00. The request to move the match to Sunday 1 June was not accepted by our opponents. Even Mr. Fracassetti should be able to count on the ideal eleven, despite some ailments that in the week did not allow some elements of the rose to train with full regularity. Giorgia Spinelli is absent, however, who is carrying out the recovery work in the scheduled time and can not make it for the eventual final of Rimini. These are the words of Presidentissimo Sarsilli on the race won with Verona and on Saturday's semifinal 31 May: "It was a difficult game that we expected and so it was, but the girls were very good and gave us this great satisfaction. I always think positive, then it is the field that must speak, I can not say that I was sure of a victory over Verona, but that we would have played it on an equal footing. With Torres we expect an equally tough race and maybe even more, but the girls are full and it will surely be a good match, they are races that can be won even with an episode at the 90 '. " At the beginning of the season the president had promised that a bomb would have broken out, maybe he was referring to this ending ... "Let's say that in the league some games that we did not have to lose went as it went, but overall it was a good championship, so it is more correct to say that this year we have lit the fuse and the bomb will explode in the next one. Now we think of this match, the opponent is tough, but we must play it with confidence, sure of our possibilities. " The other semi-final will see the Tavagnacco face the Res Rome in the capital, a commitment certainly not to be underestimated for the Friulians, but certainly within their reach. Probable Saturday training sessions 31 May, 16.00 hours. TORRES 4-2-3-1: THALMANN; BARTOLI, PIACEZZI, TONA, TUCCERI CIMMINI; DOMENICHETTI, STRACCHI; IANNELLA, MAENDLY, FUSELLI; PANIC. All. Manuela Tesse. The referee will be Matteo Marcenaro of the Genoa section, assisted by assistants Giusi Schiavina from Mantua and Marzia Maltese from Milan. 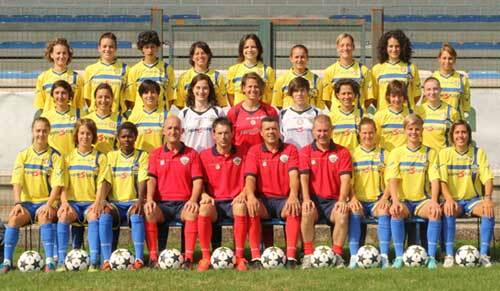 The newly promoted Res Rome awaits, on the field "A.Fuso" of Ciampino, the Tavagnacco, third force of the championship that falls on the capital with the desire to redeem for the lack of qualification Champions, facing the girls of Mister Melillo who, satisfied for the salvation obtained, will be forced to play a perfect test to make the bang in front of the public friend and win a historic final. Earlier: the championship saw the double victory of the Friulians: 2 at 0 in Tavagnacco and 1 at 0 in Rome. The forecast is everything for the Gialloblu but the landlords will be able to oppose with determination and it will come out of an exciting and uncertain challenge until the end. The draw has rewarded the Bergamasque Mozzanica who will face Torres in the company of their fans, galvanized by the beautiful victory won on the field of Verona. Mozzanica - Torres will be a match tactically difficult to play: the Bergamo will have to play the game of the year and do not miss anything to get the better of the squadron of Mr. Tesse; Panic and companions are fearsome adversaries, always ready to hit at the slightest inattention, determined to finish the season with a flourish. Definitely a good game. Previous: the championship has seen prevailing sardines for 2 to 0 and 1 to 0, but the magic moment of Bergamo could reserve the surprise. Prediction: match from triple. The athletes are reminded that in the event of a tie at the end of the ninety minutes and regulation time, the winning team that will access the final will be determined by the execution of penalty shots. 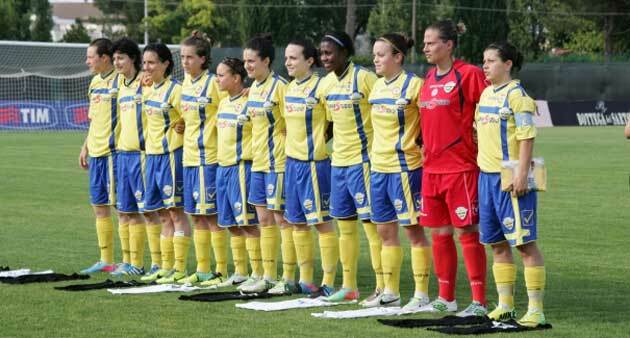 The final of the Italian Cup will be played the 6 June at 18.00 between Rimini and Santarcangelo di Romagna.